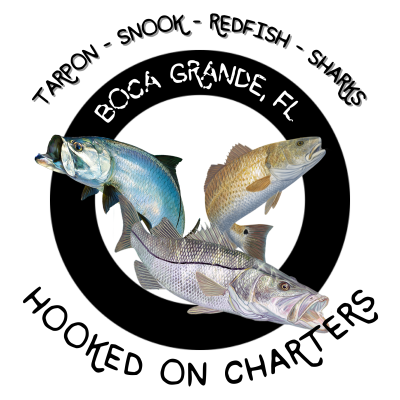 Boca Grande Tarpon are considered one of the greatest saltwater game fish. They are prized not only because of the great size but also because of the fight they put up and their spectacular leaping ability. During the months of May and June we experience a "Hill Tide" here in Boca Grande Pass. This is caused on our new and full moon phases. This causes a large amount of water in charlotte harbor to flush out millions of crabs on the surface of Boca Grande Pass in a matter of a few hours causing a feeding frenzy amongst the tarpon. Our live wells will be loaded with crabs ready to cast at the hungry tarpon. On these select tides it in not uncommon to hook several fish in a matter of hours. Since tarpon are a migratory fish, they cannot be caught consistently year round. BOCA GRANDE TARPON FISHING IS THE BEST TARPON FISHING IN THE WORLD! COME AND EXPERIENCE BOCA GRANDE TARPON FISHING! TARPON FISHING CAPITOL OF THE WORLD! WHat is a hill tide? WHen is the best time to fish for Boca Grande Tarpon? The yearly tarpon migration into Boca Grande generally begins in April and lasts through August. What is the best bait for catching Tarpon in Boca Grande? Majority of baits used for tarpon fishing are Carbs, Shirmp an small bait fish. artifical baits and Flys work great as well. 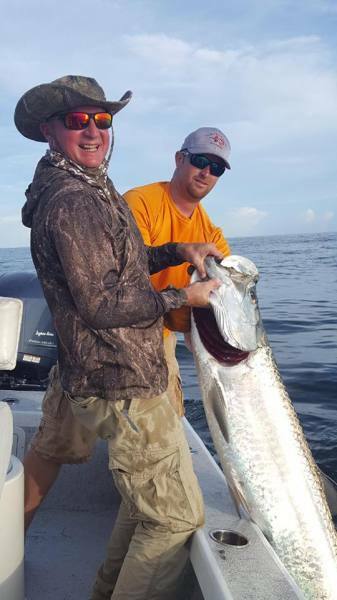 Why do Tarpon come to Boca Grande Pass? Tarpon Migrate to the Boca Grande and Southwest Florida area in the Spring to spawn. these fish come from parts of the world such as Africa and South America. Why is Boca Grande called the Tarpon Fishing Capitol of the world? Once the Tarpon have showed up to Boca Grande they are the largest population of Tarpon in a single area in the world. Read that again, THE LARGEST POPULATION OF TARPON IN A SINGLE AREA IN THE WORLD. 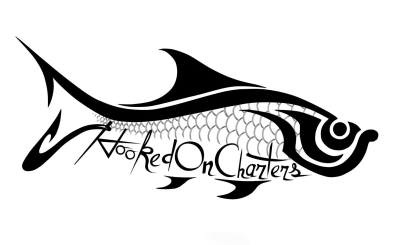 What can we expect on our Boca Grande Tarpon Fishing Charter? Excitement. these fish are acrobatic and beautiful. They are large fish and have great strength. The scenary alone in Boca Grande during Tarpon season is fun in itself to watch. You will see thousands of Tarpon rolling and free jumping during the day. 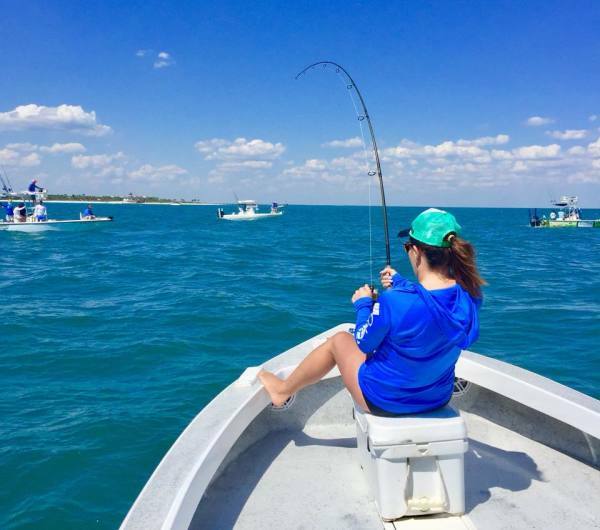 When is the best time to Tarpon fish in Boca Grande? Due to the Tarpon typically being a nocturnal feeding fish, we will start our trip about 30 minutes before day break. The Tarpon tend to feed the best during the morning and early evening.